After a huge surge of water pushed through California's rivers and streams, reservoir levels are now at the highest they've been in over five years. It's been about a week since the storm event and many rivers are still running high and brown. Water clarity isn't a big issue for me, it's high or low flows that will generally dictate whether I head out or not. The Yuba is currently sitting at 9,000 CFS which means that my local go-to is out. The Feather River, Putah Creek, and a few stillwaters were my best options this week. The spring-run is my favorite run of the year on the Feather. These fish will eat swung patterns and are a thrill to fight on the end of a fly line. With the huge push of water we got earlier this month, I'm hoping that the steelhead fishing will be good this year with plenty of fish to go around. The Feather below the dam was still running brown with a clarity of about 1ft-2ft. My day ended with one good grab from a 4# steelie that gave me the fin as it made a two foot jump after breaking me off. Afterwards I fished Dog Park Pond for warm-water fish. 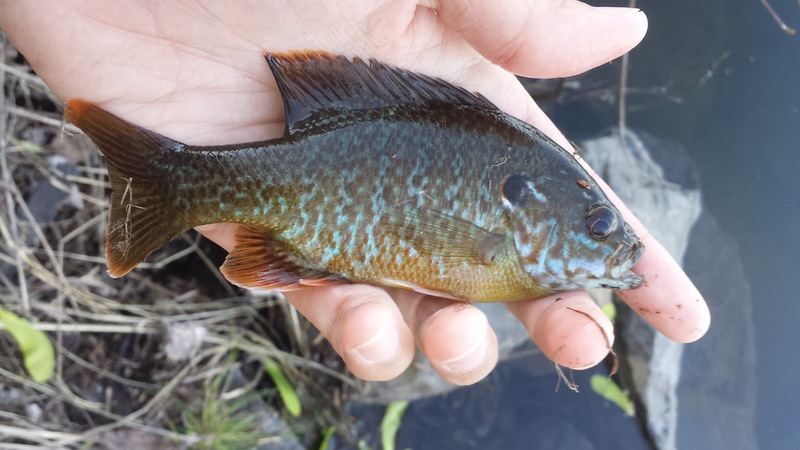 The suckers were in spawning mode chasing females on redds, the bluegills were actively eating every little thing in sight, and the bass were cruising along the banks. Bluegills were my only catch while I was there. 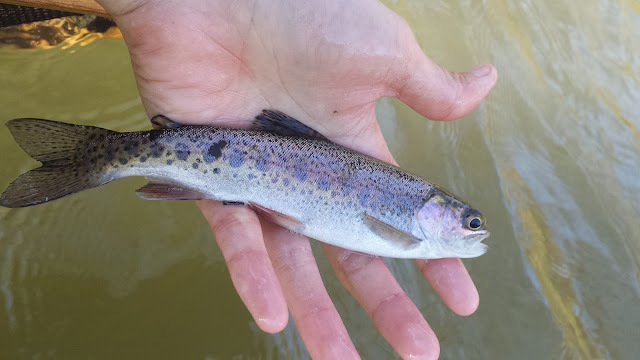 Dry flies, wet flies, and streamers caught little gills all day. The kiddos on spring break were having a field day with them. 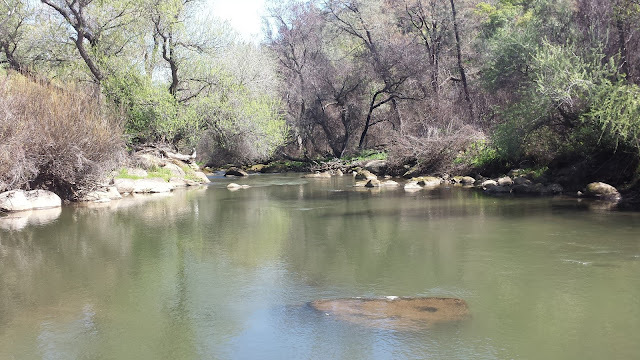 My outing this week to Putah Creek fishing a low and murky 70 CFS was a new experience. Prior to this trip I have never fished the creek while it was this low. While wading around the creek, I found that many of the runs, riffles, and pools were only knee-deep which made it difficult to find fish. The only action I found was in the morning with one bigger fish hooked and one smaller landed. I tried to figure out the puzzle by switching between flies, rigs, and techniques but nothing seem to make a difference. Where did all the fish go? After running a nymphing rig through a run about a dozen times, I finally decided to switch to a streamer. While stripping back my streamer, I observed as a 16'' Putah bow popped out of a small rocky crevice to attack my fly. My guess is that at these flows the fish are either hiding underneath rocks or in the frog water waiting for optimal feeding conditions. 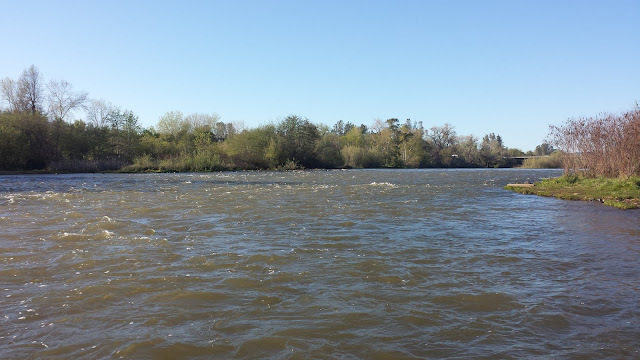 Note to self, don't fish Putah Creek when it is less than 100 CFS. 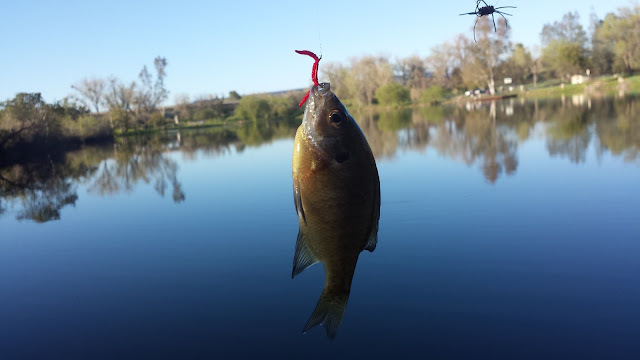 Spring is finally here and the warm-water fish are beginning to become active. Ellis Lake is improving but challenging. This time of the year when the weather is warm but the water is still cold, bass and bluegills will hold in shallow water along the banks. Although a few bass are spawning, most of the fish holding in these areas are sunbathing/taking advantage of the warm water near the top and around the rocks. These sunbathing fish are the best fish to target at the moment because they have been warming up their metabolism and can be turned on to eat. Despite being out on the lake for several hours, I was only able find one active bass. Many of the gear anglers who were blind casting went fishless which proves my theory of targeting sunbathing bass correct. The bluegills were active in the evening and I caught a bunch of them on dries when the opportunity presented itself. How do you tell the difference between a spawning bass and a sunbathing bass? 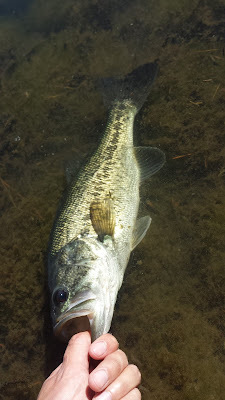 Spawning bass will not spook if fished, generally won't bite, and may be sitting on yellow eggs; sunbathing bass will spook easily but will eat if you are lucky enough to sneak up on one. To practice good ethics, I leave the spawning fish sitting on beds alone. Hopefully the rivers will clear soon, until then get out there and let it ride.